Focus intensifies personally or in business. Some dig in for the long haul. Quietly gather support where needed. Truth and practicality pave the way to success. Use what has worked before and expand on it. A transition point has been reached. Speeches or announcements put a positive spin on things. Intuition helps with interpretation. Inspiration is in the air on various levels; artworks favoured. New devices or equipment are timely. A line in the sand may be difficult to maintain. Avoid triggering dangerous or deadly actions; competition is fierce. Bringing humour into the situation helps to neutralize some of this. There is much to deal with. ARIES: Taking a firm stand is fine as long as you leave some wiggle room to negotiate your terms. TAURUS: You dig in your heels as you are confident of the backing you get from influential people. GEMINI: Meet with those who have clout or hold the purse strings. Present a clear position to them. CANCER: Sort out your responsibilities with those connected to them in personal or business areas. LEO: Planning a get away may need more time on the drawing board. Prepare for the unexpected. VIRGO: Avoid pushing your agenda unless you know it will be clear sailing. You don’t want to redo. LIBRA: You need your own space or den as environment becomes more of an issue to your peace. 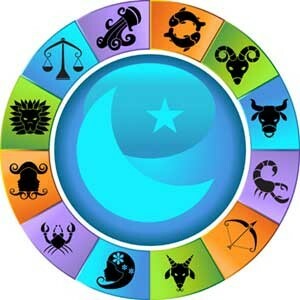 SCORPIO: Competition to be top dog is stiff so make sure you navigate the necessary steps now. SAGITTARIUS: Avoid financial risks as this is not necessary to achieve the same results you seek. CAPRICORN: You will be much more effective in a leadership role if you couple passion and work. AQUARIUS: Meet with others in private. Discuss serious matters. Handle a showdown of sorts. PISCES: Check details of where the trail goes connected to funding and who may be behind it.